Happy Healthy New Year! Every year we get another chance at new beginnings and setting goals. Often, the New Year inspires people to direct renewed focus on their health and longevity and aim for improved physical and emotional well-being. Body composition refers to the amounts of muscle, bone, and fat in the body. Those with higher percentages of body fat are more likely to have health issues like insulin resistance, type-2 diabetes, fatty liver, PCOS (polycystic ovary syndrome), metabolic syndrome, and cardiovascular disease. Higher body fat also places excess stress on joints, muscles, and bones, potentially worsening pain, arthritis, and injury. “Apple-shaped” bodies where fat is concentrated around the abdomen, increases risk of cardiovascular disease more than “pear-shaped” bodies where fat is concentrated in thighs and abdomen. We can modify body composition with diet, exercise, and supplementation. Losing weight only is not the goal. With patience and perseverance, these interventions may improve insulin and leptin resistance, metabolism, glucose uptake, muscle to fat ratio, and weight loss. Remember, in terms of disease risk, body weight is LESS important then body composition. And my answer is always the same. Start with eliminating SNACC; Sugar, Nicotine, Alcohol, Caffeine, and Chemicals. Until you eliminate the burdens on the body, the body’s processes will be overwhelmed and there is no way to overcome the free radicals produced, which eventually age and break down our bodies. Remove any potential allergens from your diet, as well as food that are difficult to digest. And did I mention eliminating SUGAR!!! Yes! I did! By this point, you may have stopped reading and may not be a very happy camper, but I assure you (and I speak from personal experience too) that eating and living CLEAN is well worth it! At Murray Avenue Apothecary, we care about you and your health. We have detox protocols that are easy to use and simple to follow. Eliminate the burdens on your body. 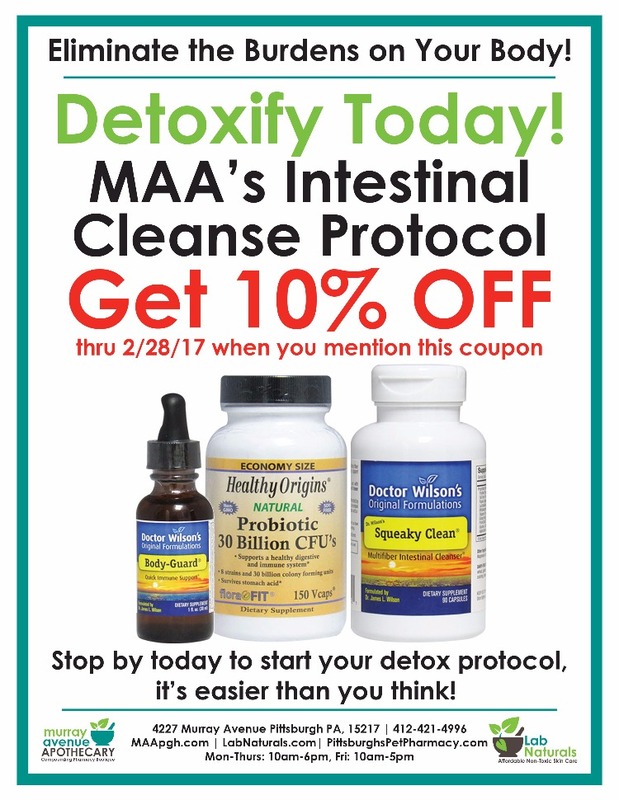 Stop by today, or click here, to start your detox protocol, it’s easier than you think!